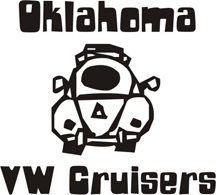 My wife and I will be traveling cross country from North Carolina to California and will be passing through OKC. Right now we would be arriving on night of December 16. We are both graduated students and would love a level driveway to camp in for the night. We have a 71 Westy that my dad and I restored over the past few years and was just finished this year. Thanks for the consideration. I am 5 min north of i40 before you get to OKC, my driveways open. Hope you have a blanket lol. vdubjim: we greatly appreciate the offer of a driveway and would definitely like to take you up on it. We are still planning on driving from nashville to OKC on 12/16. Hopefully the weather will cooperate. We will be keeping an eye on that before we leave. We have good camping gear (low rated sleeping bags) so we can handle the cold no problem. Here is my cell phone number 904-502-1274 and my email gatorbait8_at_gmail_dot_com. You can call or email me your information. I dont have a cell phone with internet access so phone contact would be the best while we are traveling. vwlimoguy: Thanks we just signed up for it. That will be a huge help.